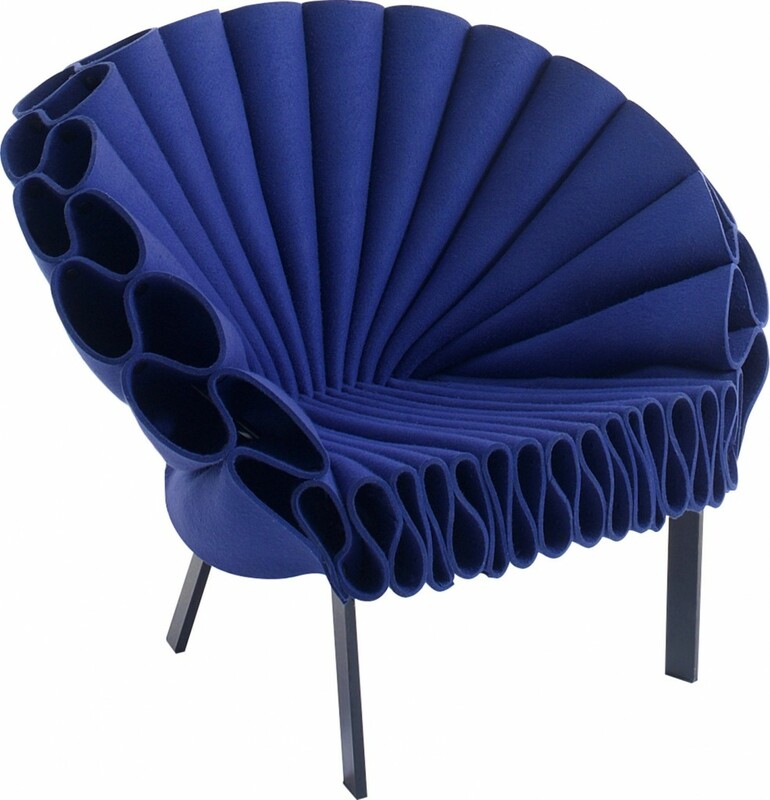 The Peacock Chair is created out of three sheets of felt and a minimal metal frame. The folds of the felt are woven tightly to form a structured yet incredibly comfortable lounge chair, with no sewing or upholstery involved. 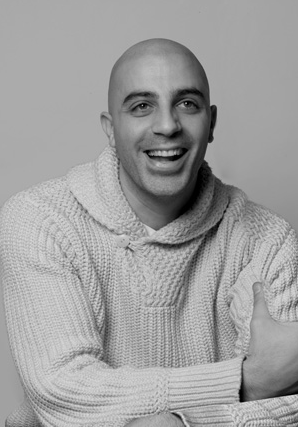 Dror Benshetrit studied at the Design Academy Eindhoven and founded Studio Dror in New York in 2002. His focus is on innovation in design, technology, and the unusual use of materials. An element of variable movement is often integrated into his projects, whether an expandable hard-case travel bag for Tumi or a modular shelving system for Target. in 2006 Benshetrit developed a new structural support system made up of interlocking l-shaped pieces. Titled Quadror, it can be configured into anything from furniture to bridges to buildings. 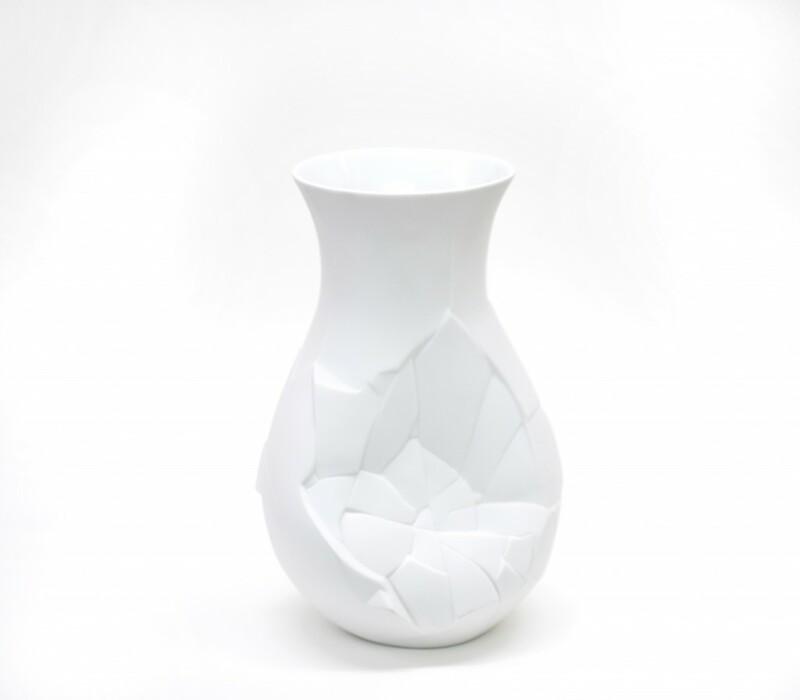 Dror’s awards include the iF Product design award (2006) and the Good Design Award from the Japan Institute of Design Promotion (2008 and 2010). His work can be found in the permanent collections of the Metropolitan museum of Art and the Museum of Arts and Design in New York, the Eretz Israel Museum in Tel Aviv, and the Staatliches Museum in Munich.